I have been baking a lot these past few days. Maybe it is the season for baking around this time of the year. 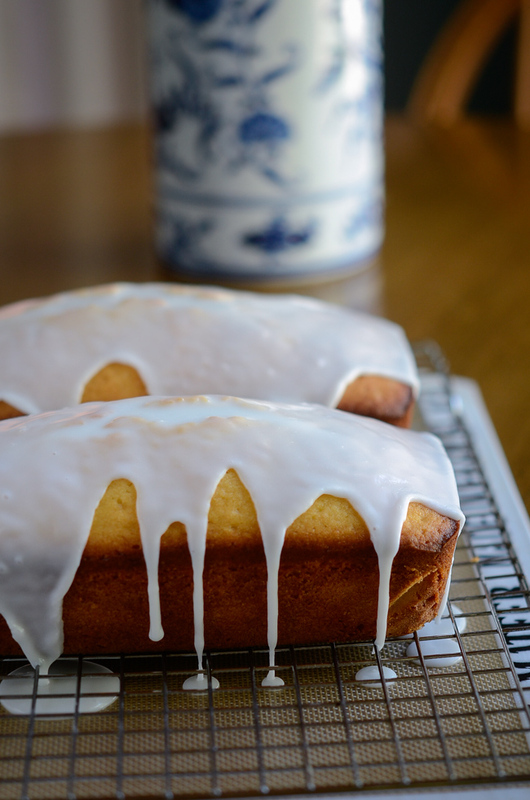 I had some lemons at home and turn them into very moist, tender and lemony cake. 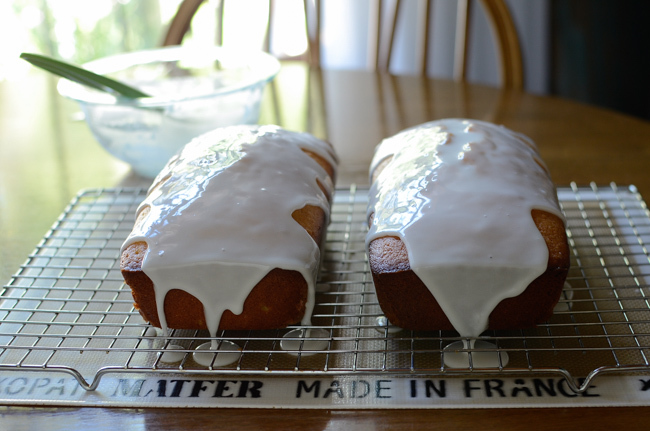 These lemon loaf cakes are so good that my family devoured one loaf within a day. Luckily the recipe yields 2 loaves. We ate one and gave the other loaf to a friend as a gift. The two ingredients in this recipe makes this cake so moist and tender; a package of instant lemon pudding mix and yogurt. 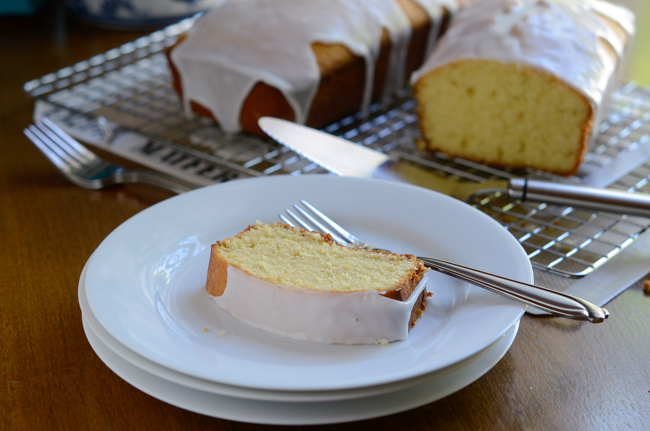 The cake has a nice dense texture just like a loaf of pound cake. but without the heaviness in the crumbs. It is actually quite soft and tender. They travel well, too, which makes perfect gift to share. You will like the snowy white lemon icing on top. It adds just right balance of tartness and sweetness. The recipe is quite simple that I don’t think you will need the step by step tutorials. If you crave for citrus flavored cake, this will satisfy you. Hope you can give this a shot. Preheat the oven to 350˚F. Grease two 8x8 loaf pans. Lining the bottom of the pan with parchment paper will bring the best result. Set them aside. Shift flour and baking soda in a bowl and set aside. In a mixer, beat butter and sugar until soft and creamy, about 2-3 minutes, on medium speed. Add eggs, on at a time, and beat well until very fluffy. Add the pudding mix, yogurt, lemon zest, lemon extract, and vanilla extract; beat well. Add the flour mixture and stir well. Divide the batter into the two prepared loaf pans, smooth out the top. Bake for 55-60 minutes or until the toothpick comes out clean when tested. Cool in a pan on a rack for 5 minutes then turn the cakes out of the pan and let them cool completely. For the icing, mix powdered sugar, lemon juice, and milk. You can add a couple drops of lemon extract if you prefer more citrus flavor. Drizzle over the cooled cakes. Love lemon! And this cake looks exceptional. Love the looks of that icing -- so attractive, and I'll bet the flavor is wonderful. Thanks! 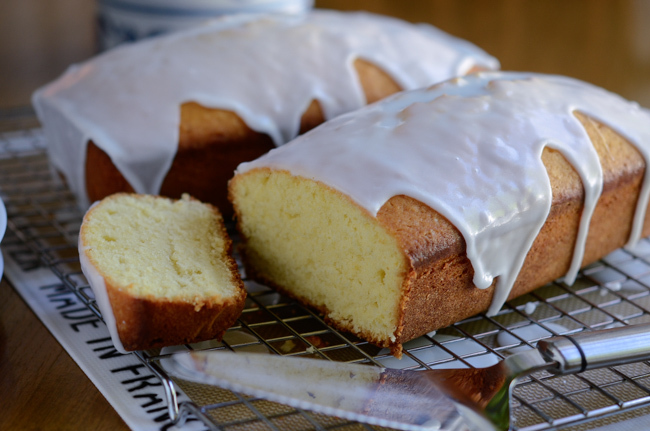 This Lemon Loaf just looks fantastic! I want to have this with coffee! I love yogurt in cake. So yummy!! This must be an excellent afternoon tea serving. What a gorgeous and simply lovely cake! This will make a lot of people happy! Happy Holidays! Yes, the batter is somewhat dense. It is a really moist and tender loaf cake. Hope you get to try out.